3 Bedroom Townhouse in Hillview - Vaulted Ceilings! Gorgeous complex located in the quiet SW neighborhood of Hillview. 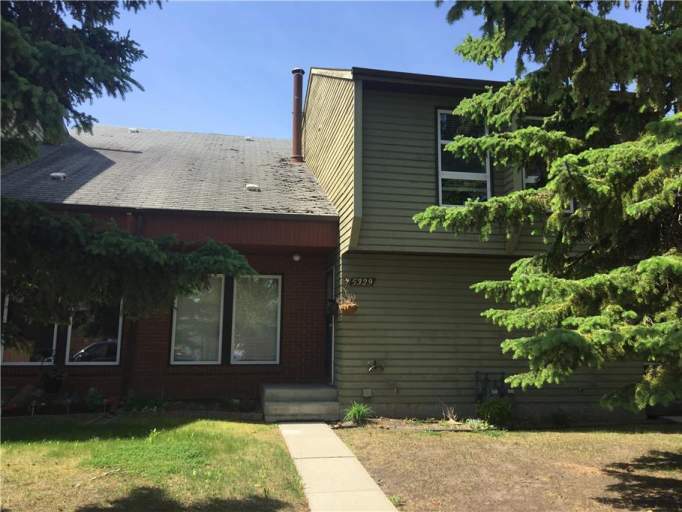 Steps from Hillview Elementary and Park and blocks from major amenities around Millwoods Town Centre this is the ideal location to call home! Enjoy easy access to Whitemud Drive and 50th Street, making any commute a breeze! The townhouse itself features vaulted ceilings with an open main floor layout. Enjoy the large from living room and dining area, perfect for entertaining guests! The spacious kitchen is complete with fridge, stove, and even a dishwasher! and even has a perfect spot for a kitchen table. Out the rear door you'll find a small deck and fenced yard, perfect for the upcoming summer months. Also on the main floor is a half bathroom.The upstairs offers two large bedrooms, the master having a vaulted ceiling with skylights and a 4 piece en-suite bathroom including a double Jacuzzi tub!!! The finished basement offers a large family room area and a third bedroom. Plus there is a large storage closet as well. Enjoy your own updated washer and dryer, as well as an outside parking stall. 3 Bedroom Unit Availability - 3 Bedroom Townhouse in Hillview - Vaulted Ceilings!